Comfort and style for miles and miles. The REVIT Emerald Women’s Shoes offer the feel and look of a sneaker with streetworthy protection. 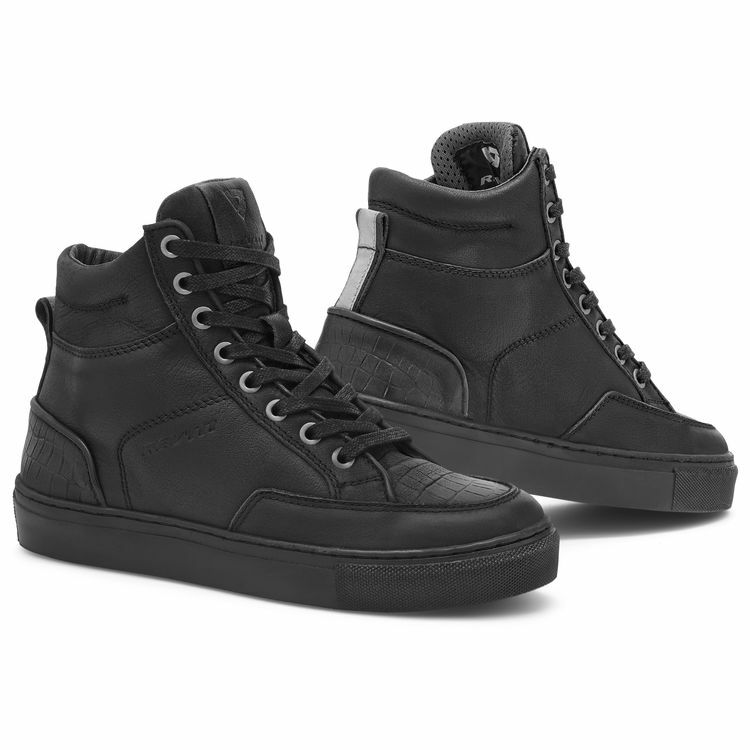 The high quality full-grain leather upper has been treated to soften the feel without sacrificing abrasion resistance. The result is a shoe that feels like a normal sneaker, but hides thermoformed heel and toe cups and injected ankle discs for protection from the unexpected. The REVIT Emerald Shoes are the perfect fit for riders wanting incognito protection with the comfort and casual appearance of a sneaker. Note: We have found this fits true to size with a slightly loose heel. Heel height is 1" and 5 1/2" overall height of shoe. Definitely looking for a unique riding shoe. The taupe/white color really got to me. Black is always chosen, but the taupe was original and more street style riding. What is the height of the heel in inches?